Mitsubishi group comprises the large international corporations such as Mitsubishi Corporation, Mitsubishi Motors, etc. 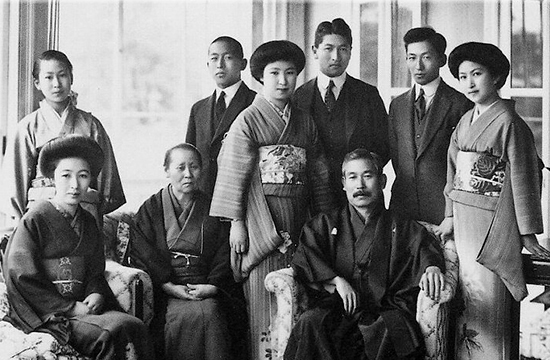 This massive business group can be traced back to a single wandering samurai born in Tosa clan. His name was Yataro Iwasaki. Born at the end of the Edo era when the title of samurai was dying out, Yataro created a solid foundation for the modern Japanese economy in the Meiji Era of national prosperity and defense. Using the spirit possessed by the samurai, he devoted his own life to the prosperity of Japan. 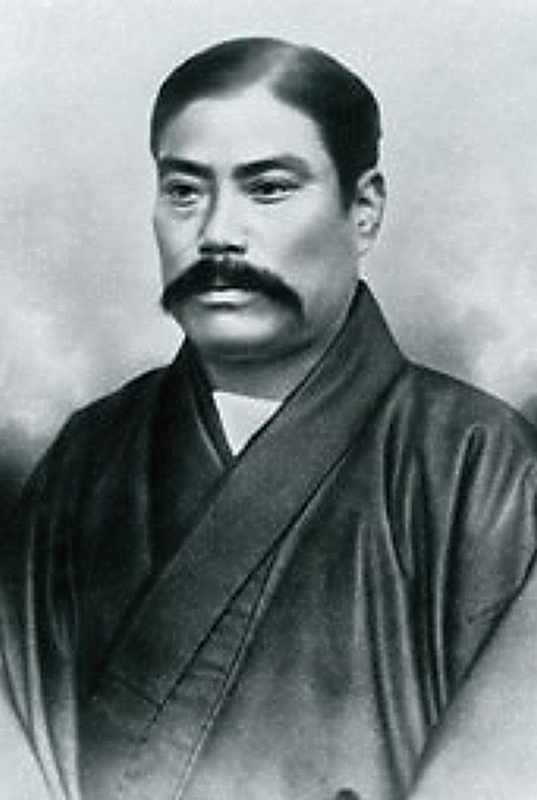 Yataro Iwasaki was born as the child of a rural samurai in Tosa Country Iguchi village in 1835. His father, Yajiro, was a heavy drinker, and his mother, Miwa, was a strict and passionate woman. Born to such a family, Yataro himself is also said to have been raised to be quick-witted, frank, and filled with curiosity. Yataro's business sense as an industrialist was a skill to read the true feelings of his partner in a transaction and proceed the transaction to advantageous direction even a little more. While accumulating such various skills and experiences, he started the path of an industrialist through the changing period from the restoration of the imperial rule and into the Meiji era. In 1870 he established Tsukumo Shokai what would become Mitsubishi Group, becoming its supervisor. This was also the time when a few wandering samurai consolidated power while transitioning into the Meiji era. Though Yataro kept extremely busy with his work, he also worked hard to train his successors and passionately engaged in English language education. In 1871 when Yataro was 36 the title of "hanshi (feudal retainer or warrior)" was abolished due to the abolition of feudal domains and establishment of prefectures. The same year he became the manager of Tsukumo Shokai. In 1973 Tsukumo Shokai changed its name to Mitsubishi Shokai and relocated the headquarters to Tokyo based on Yataro's arbitrary decision. This was the birth of Mitsubishi group. Yataro considered the foundation of commerce to be customer service attitude. And so Yataro eagerly taught his employees who has the strong pride of the samurai class how to bow their heads to their customers. Mitsubishi Shokai went on to expand its share in the maritime transportation field by the irresistible force. It transformed into a rapidly growing company without stopping. Yataro died of illness at the young age of 51 in 1855, but the people he interacted with throughout his life were distinguished figures in the Meiji Restoration and the political and financial giants of Meiji era such as Ryouma Sakamoto, Toshimichi Okubo, Shigenobu Okuma, Yukichi Fukuzawa, Eiichi Shibusawa. Even looking at his posthumous impact, Yataro's achievements can be said to include the entirety of the business the current Mitsubishi Group has achieved to this day, which is immeasurable. Yataro frequently used the phrase "corporate responsibility to society". This is the idea that business should never be to satisfy selfish desires, but rather corporate activities should always be conducted for the sake of society and country. A great industrialist such as Yataro has left behind this philosophy. It is surely the reason why economic prosperity with public orders was subsequently realized in our country.